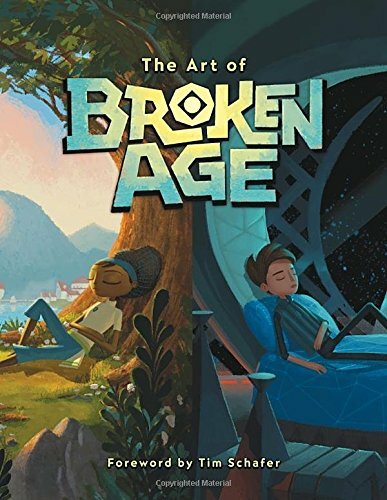 This is the companion artbook for Broken Age a game that made history by being the largest crowdfunded game on Kickstarter at that time with over USD $3.3 million raised. The developer has been praised for their transparency for communicating what it's like to create a video game. This 120-page hardcover is a lovely companion that features the concept art for the game. There are lots of sketches and beautiful coloured development art for the characters and environment. It's really cool to see the amount of creativity in the designs and ideas. If I didn't know that the artworks are for game development, I would have thought they are from children picture books. I like the colour choices, overall look and feel. This should be a good buy for fans of the game who like the art direction of the game.